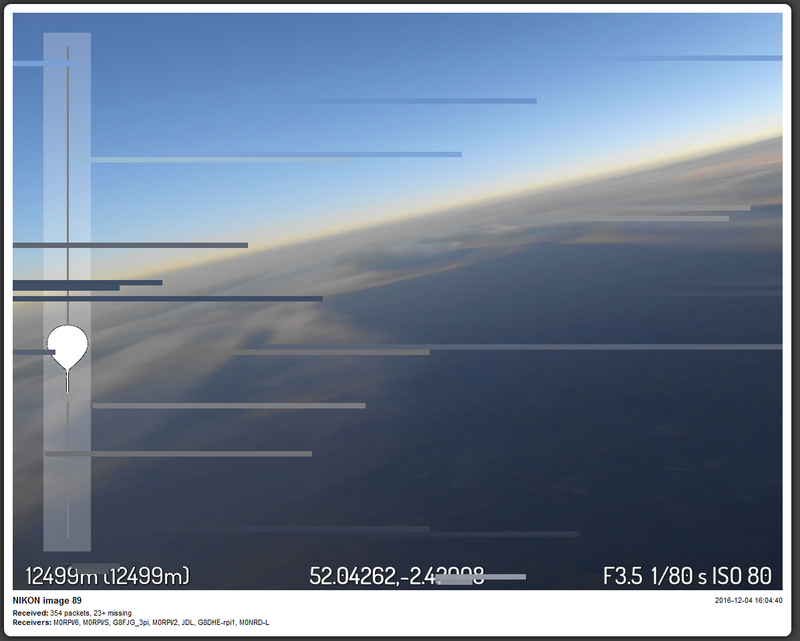 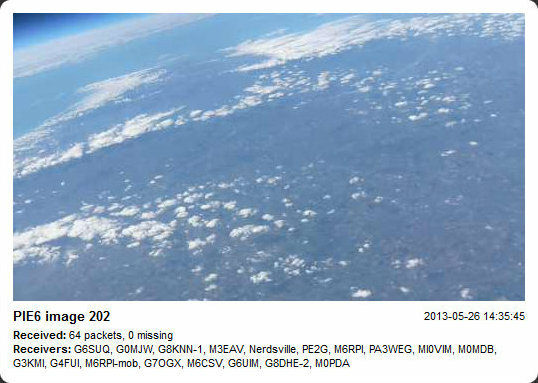 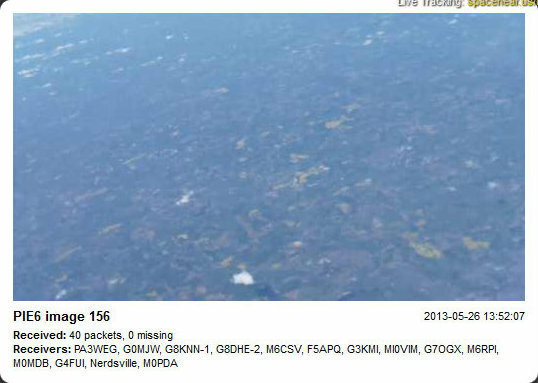 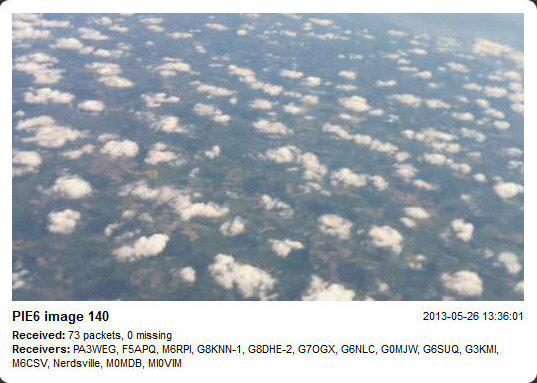 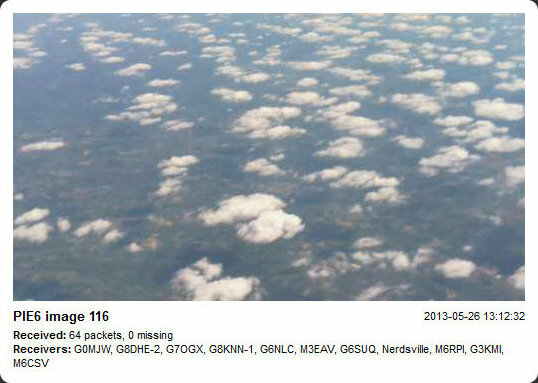 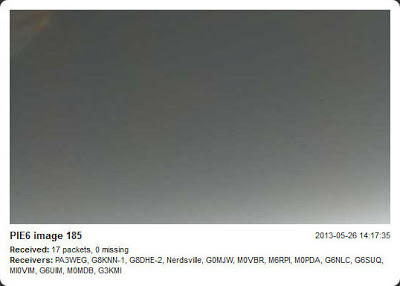 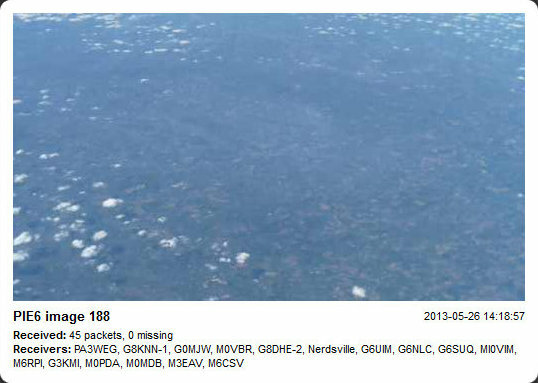 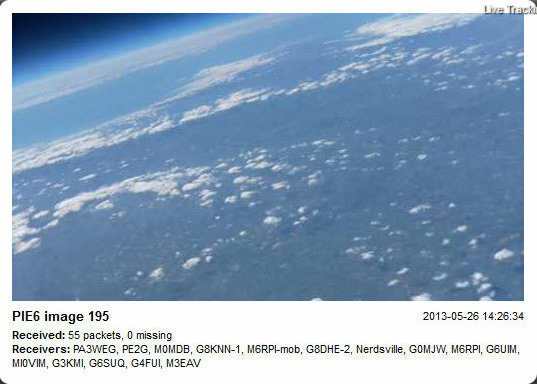 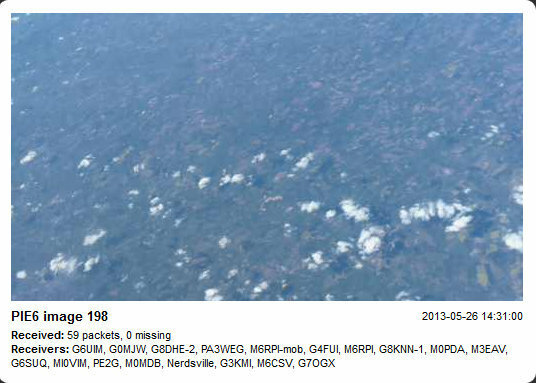 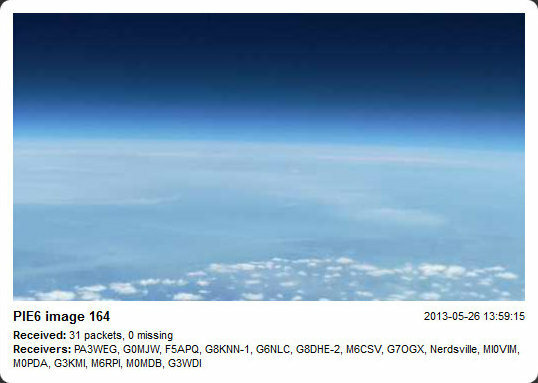 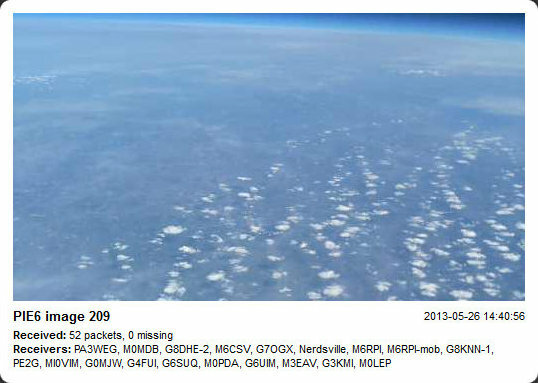 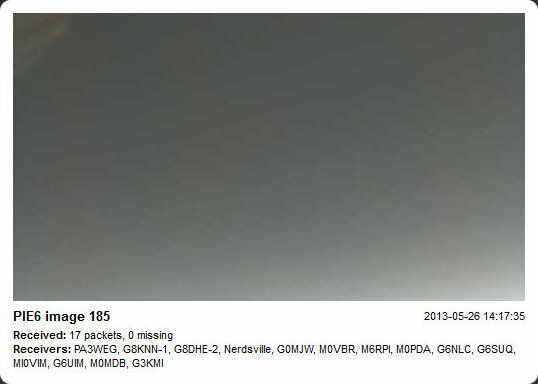 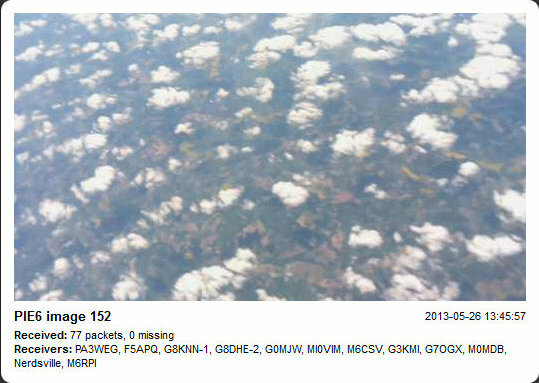 I have been tracking some more of the High Altitude Balloons (HAB) that have been released over the last few weekends. 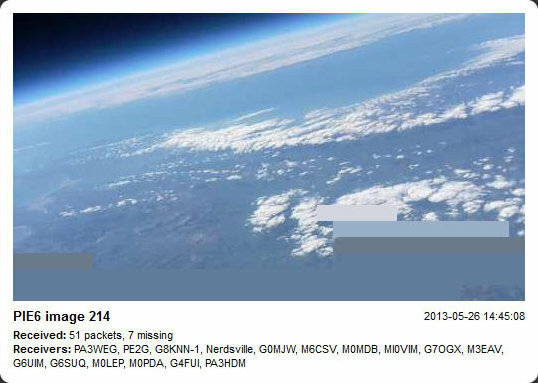 Last weekend (18th May 2013) saw the release of STRATODEAN2 from the Stratodean team, which I received quite well as can be seen from the telemetry stats. 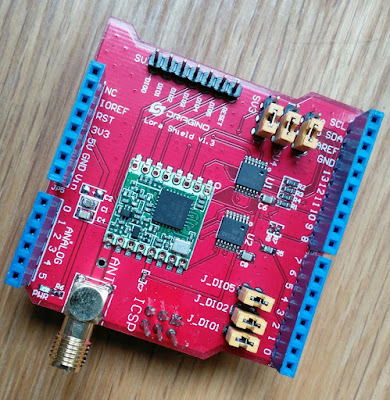 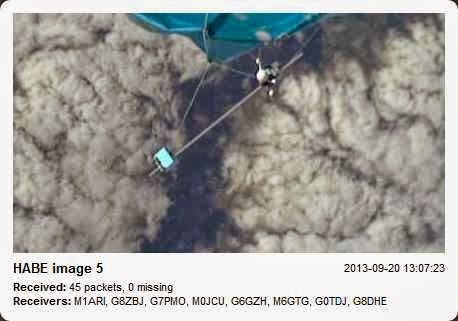 and finally this afternoon Dave Akerman’s PIE6, which used a Raspberry PI to preform the radio tracking. 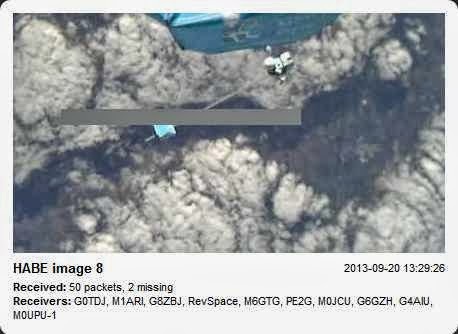 Details of the payload can be found here. 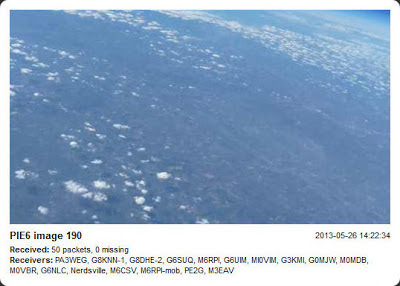 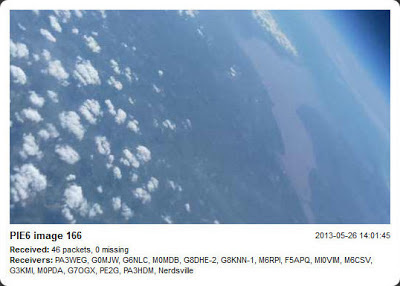 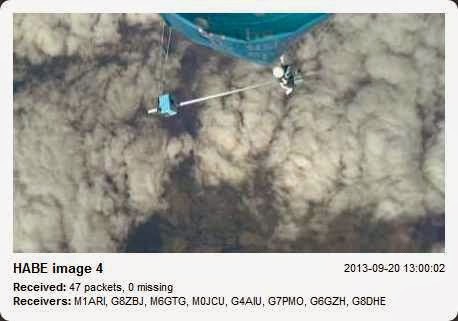 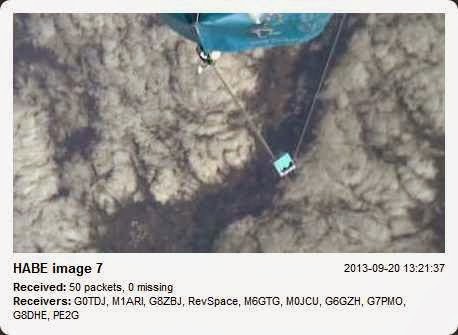 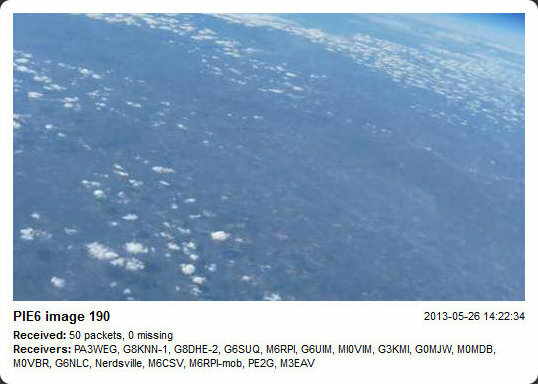 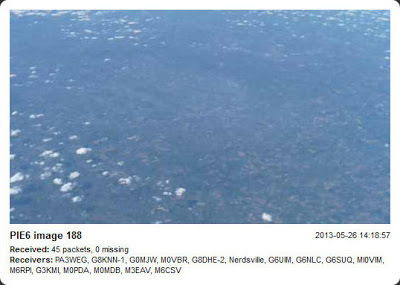 In addition to the GPS the payload also contained a camera and the captured images were also transmitted using the SSDV protocol. 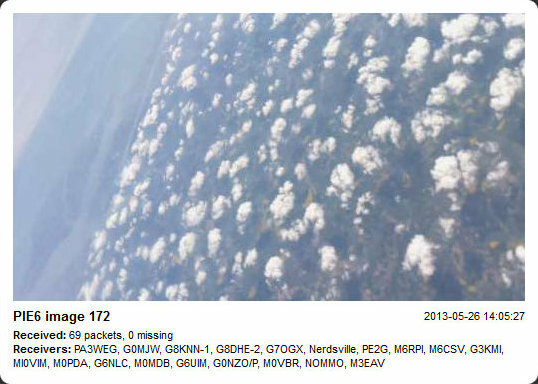 The screen shot below shows my PC as it receives the packets and attempts to reconstruct the image, hopefully you can see some portions of the image are missing. 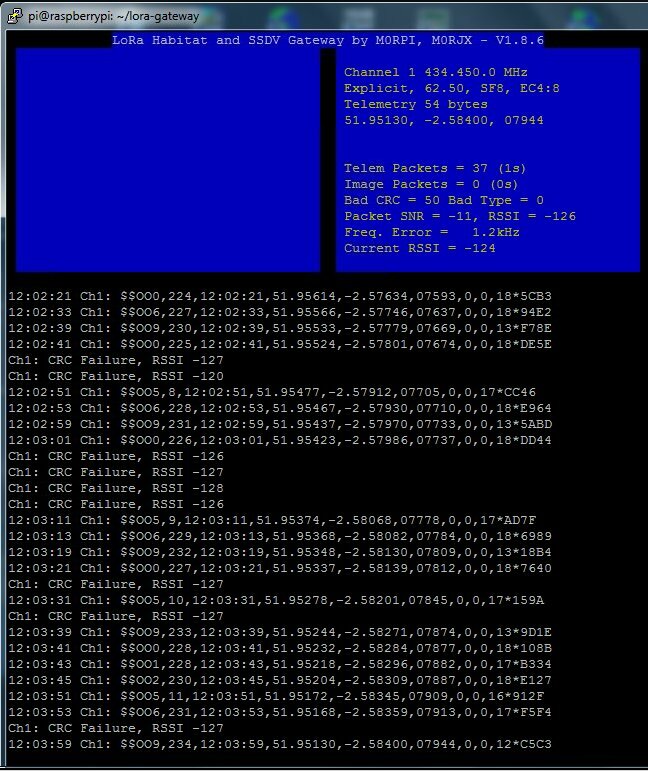 Dave used a very fast 600Baud RTTY so he could transmit the high quality images, so was impressed to receive anything as the combination of SDR# and DL-Fldigi can be hard work for my ageing PC. One thing I didn’t receive much of were the interlaced telemetry packets. 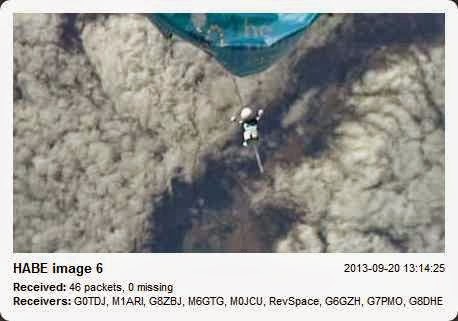 Several weeks ago I discovered the excitement of decoding high altitude balloon (HAB) telemetry. 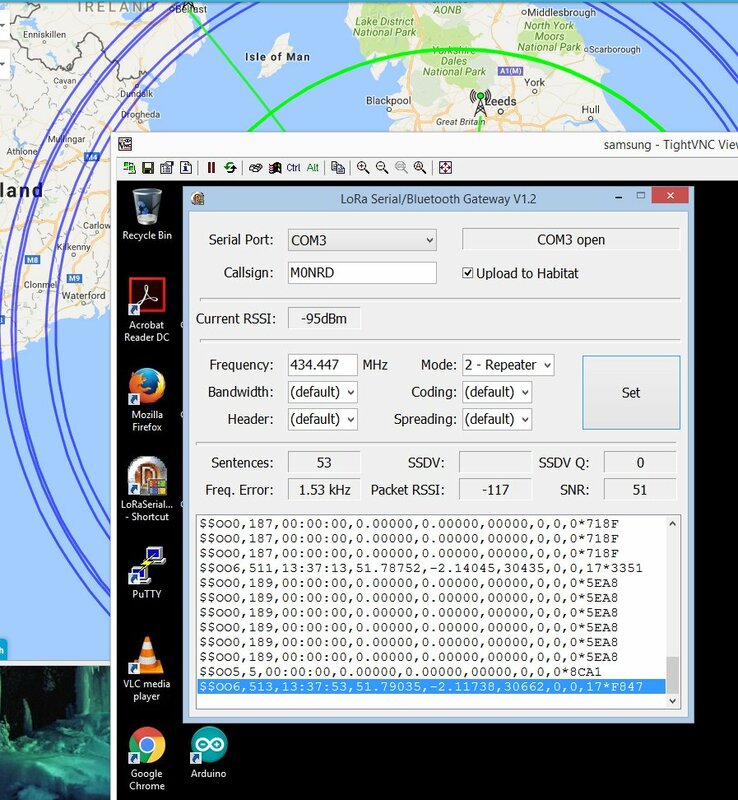 As I blogged I spent a enjoyable couple of hours receiving the STRATODEAN project telemetry and submitting the received data to HABHubs habitat which is a system created to allow uploading, processing, storing and displaying telemetry and related information transmitted from the various high altitude balloons. Mark and Cassie (the Stratodean team) have since uploaded a video on their blog showing the preparations, launch, flight and recovery of the payload. 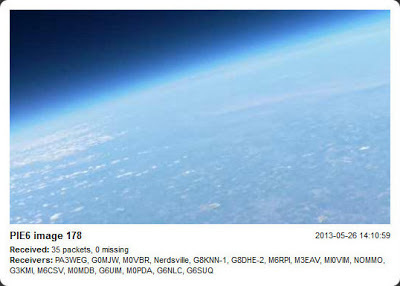 Over the bank holiday weekend there were two other balloons launches planned, Chris Stubb’s (M6EDF) CHEAPO (webpage) and Steve Randall’s (G8KHW) XABEN-49 flights due. 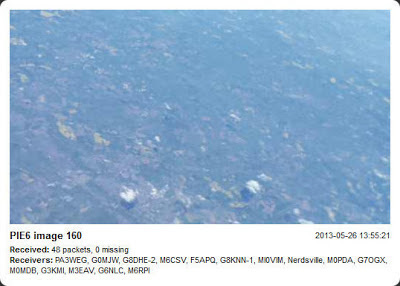 CHEAPO did indeed fly, but sadly I didn’t receive anything as the signal was apparently very weak. 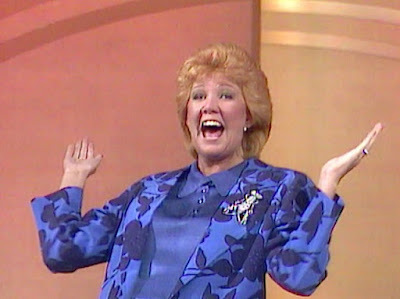 I was also suffering some strong interference around the chosen frequency. 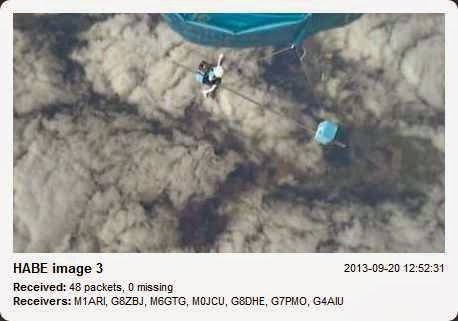 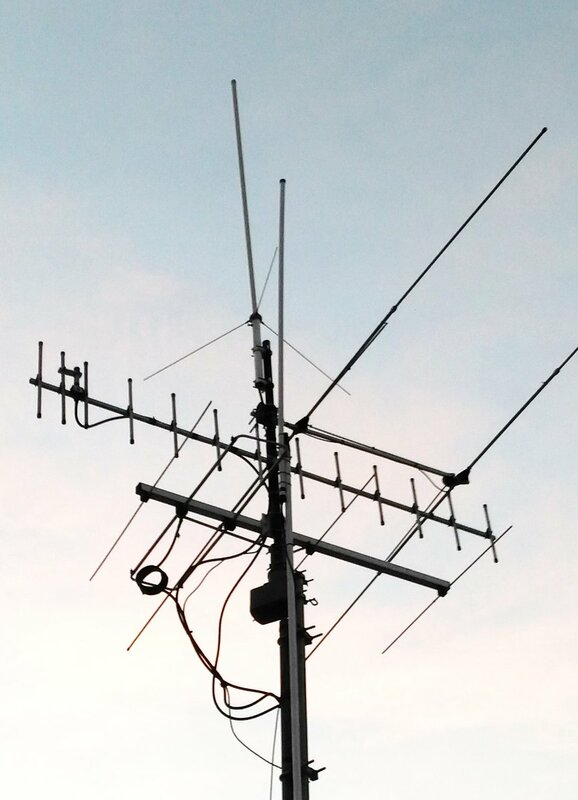 I did have more success with XABEN-49 receiving a strong signal and a lot of telemetry packets. Though I did have to tweak the RTTY decode parameters in Dl-Fldigi, principally widening the shift and the filter widths, since the auto-configure option was setting it too narrow. 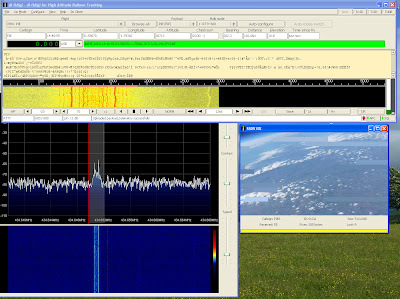 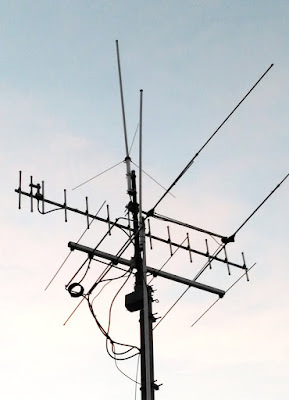 This morning the Essex Ham website has posted a nice video on their website explaining a bit more how to go about HAB decoding. 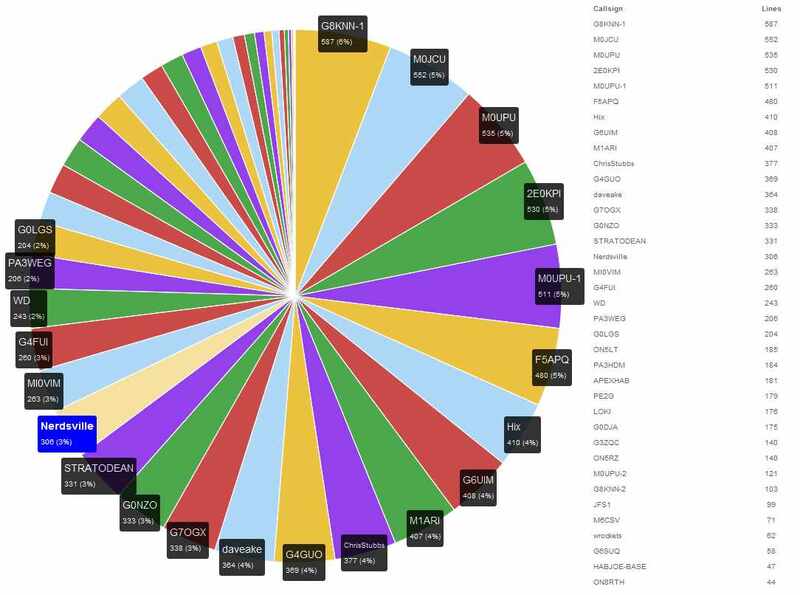 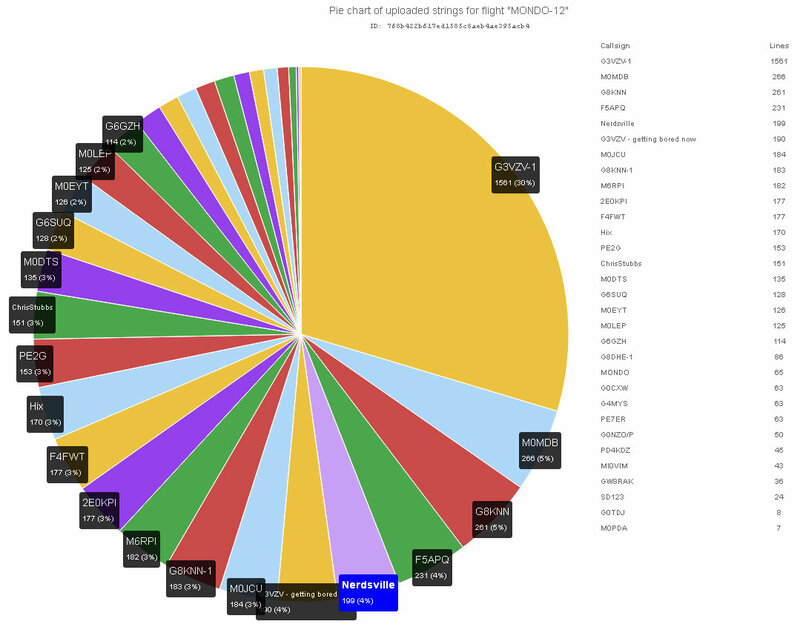 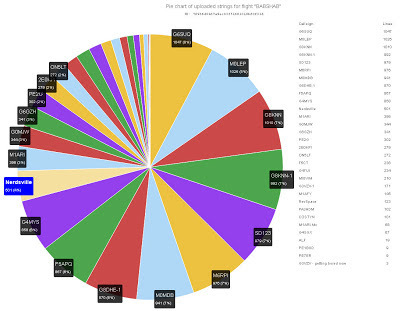 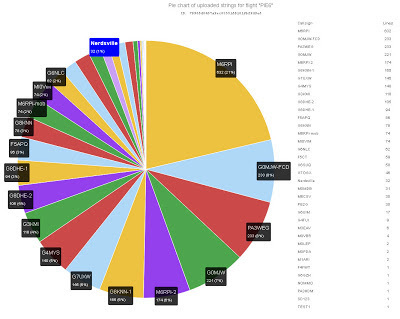 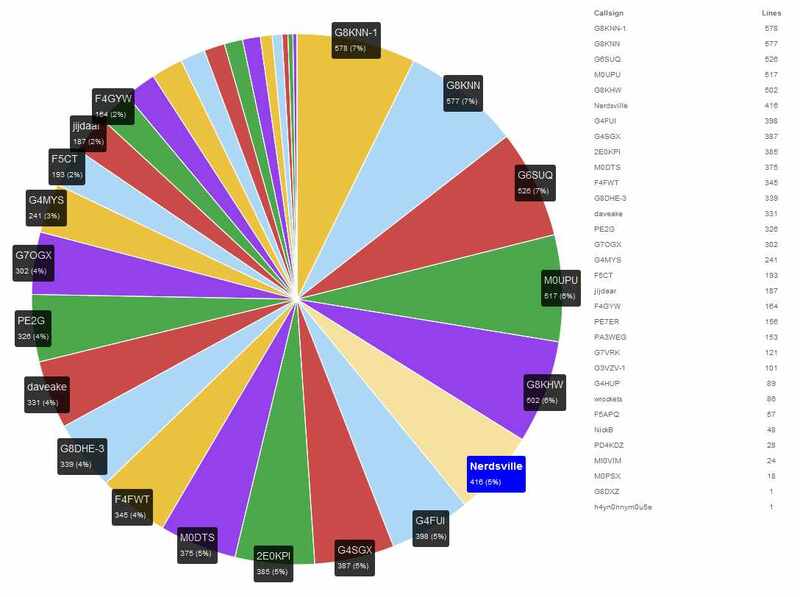 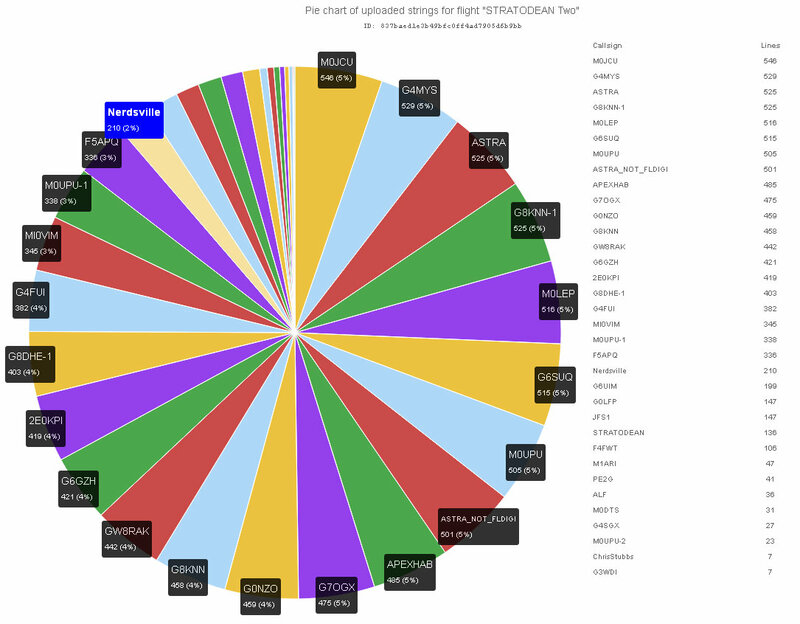 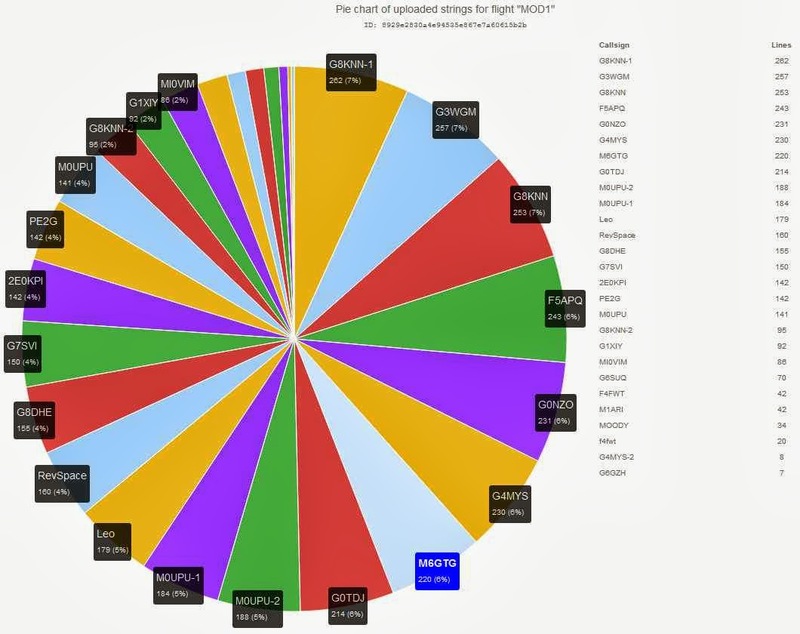 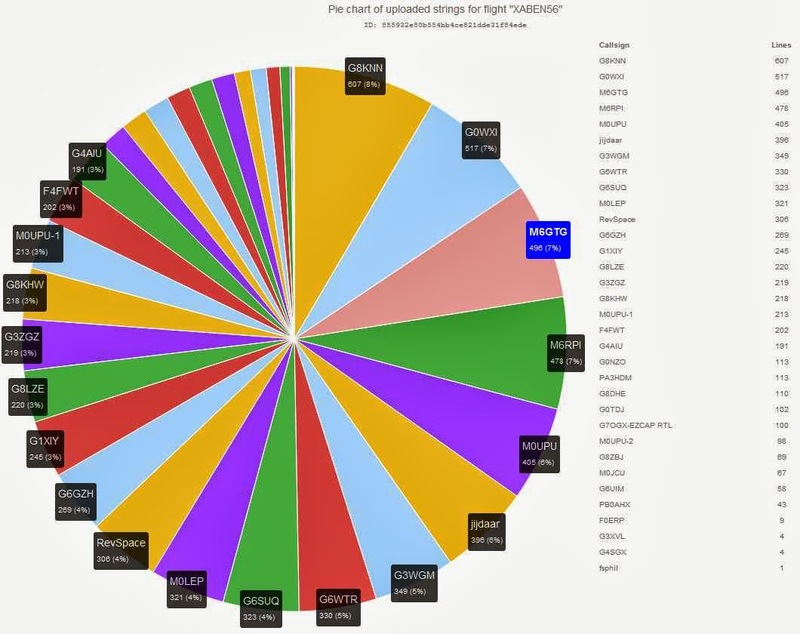 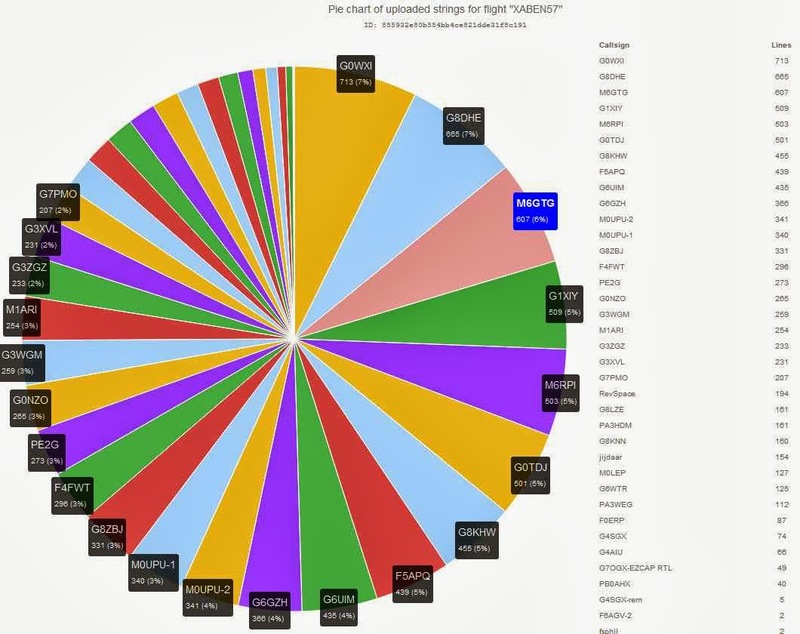 While investigating the habitat system I found the stats page and flight pie charts, showing the top receivers for each flight, I was pleased to see I featured quite high in the chart for the XABEN-49 flight, and indeed for the STRATODEAN flight last month.